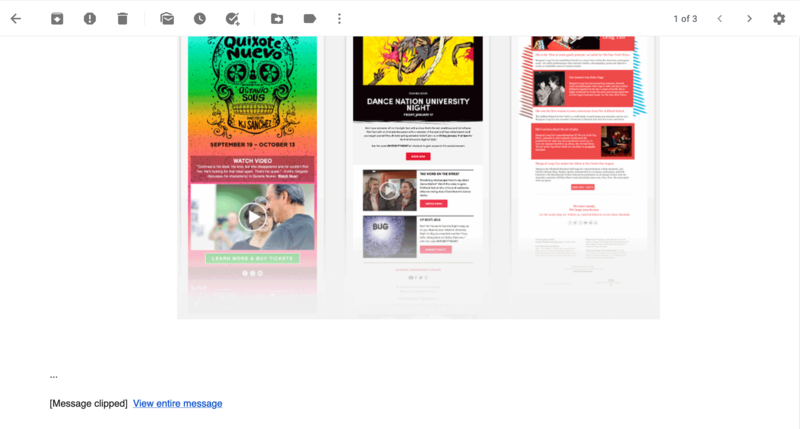 Gmail will clip your email design if your email size exceeds 102KB. Where the email is clipped there will be a link to view entire message. Selecting the link in the message will open a new window with the entire email downloaded. Currently, for Android devices, there is no link for viewing the entire message. The iPhone does display the link, it reads "[Message clipped] Download entire message", clicking this loads the entire message on the same window. A link to view the entire message does not display. It just remains cut off. What is the solution to email clipping? Try making your emails shorter. This email browser has a habit of cutting off long(ish) emails. The only real solution is to create shorter emails.